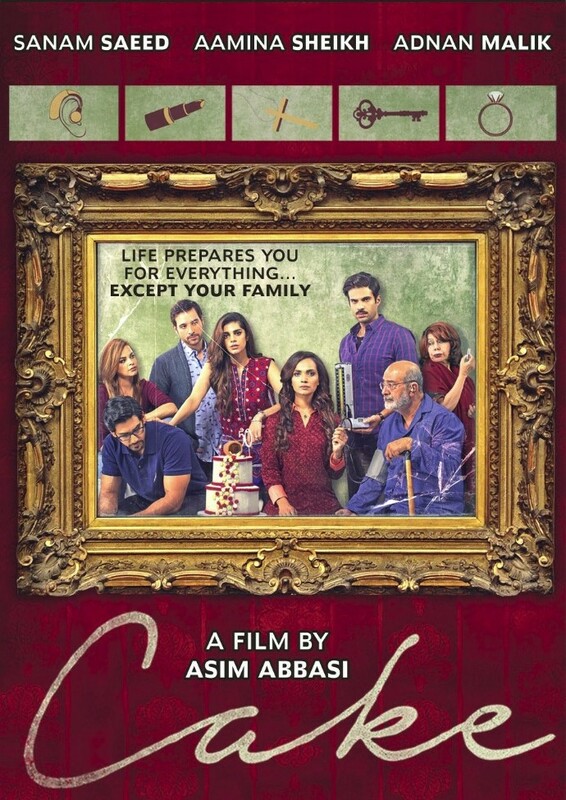 The Pakistani Academy Selection Committee, chaired by two-time Academy Award and Emmy winning documentary filmmaker Sharmeen Obaid-Chinoy, has selected “CAKE” to be submitted for Oscar consideration in the 'Foreign Language Film Award’ category at the 91st Academy Awards. The Academy of Motion Picture Arts and Sciences will choose the final nominees for all award categories including Best Foreign Language Film in January 2019. The complete and final list of Oscar nominees will be announced on 22nd January 2019 with the presentation show for the 91st Academy Awards scheduled to take place on 24th February 2019. Set in one of the world’s biggest metropolitan city, Karachi. "CAKE" follows the lives of two sisters, one of whom lives abroad and the other is ‘left’ behind. Burdened with guilt and resentments, the sisters confront old secrets and realize that sometimes the only way for a family to move on, is by finding a way back. At its core, "CAKE" is a film about the passage of time seen through the eyes of one family and offers a heartfelt look at the realities of life, of past and present, of choices and consequences. 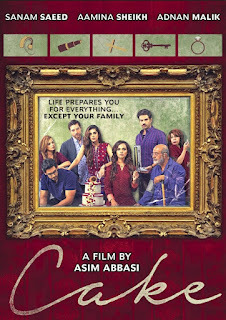 The film stars leading Pakistani actors, Sanam Saeed, Aamina Sheikh and Adnan Malik in pivotal roles and is the debut feature for writer / director Asim Abbasi. It is produced by Sayed Zulfikar Bukhari. The committee is chaired by two-time Academy Award and Emmy winning documentary filmmaker Sharmeen Obaid-Chinoy and includes Kamila Shamshi [Novelist], Saira Kazmi [Actress and Director}, HM Naqvi [Novelist], Hadiqa Kiani [singer, song writer, and philanthropist], Ali Sethi [Singer and writer]. Zoe Viccaji [Singer, Song-writer, and musical actress], Nadeem Farooq Paracha [Journalist, author, and cultural critic], Nabila Maqsood [Haistylist and entrepreneur], Khalid Malik [Actor and Radio Jockey] and Faisal Qureishi [Actor]. "I am extremely honoured to have ‘CAKE’representing Pakistan this year, and grateful to the selection committee for considering it worthy. My deepest gratitude for my ‘CAKE’ family, who worked so hard and with so much belief to bring this film to the audiences. 2018 is proving to be a great year for Pakistani Cinema. May it continue to grow and may we always find the courage and the vision to tell our stories our own way."